Do you hear that? It’s the sound of your feet requesting a pair of safety toe work boots that are actually comfortable. Time and time again, you’ve donned uncomfortable footwear, and it comes at the expense of your feet. These Timberland PRO Men's Wheat Helix T ... (see full details) (see specifications) #TB0A1HPY231. Do you hear that? It’s the sound of your feet requesting a pair of safety toe work boots that are actually comfortable. Time and time again, you’ve donned uncomfortable footwear, and it comes at the expense of your feet. These Timberland PRO Men's Wheat Helix TB0A1HPY 231 6 Inch CT Work Boots will give your feet the comfort you need, but they can also offer the durability that you require as a working person. First off, these men's work boots are as tough and protective as they are comfortable and waterproof. The mesh-lined footwear is designed with a composite safety toe that keeps your toes safe in the event of drop impact or compression. Plus, the safety toe meets the requirements for the standard ASTM F2413-11 I/75 C/75. 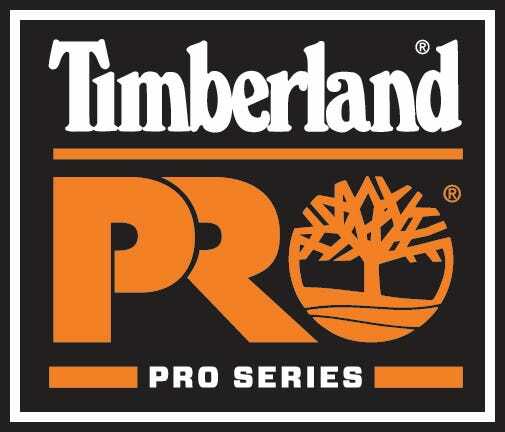 You'll also be kept safe thanks to the durable Timberland PRO rubber outsole. It's a hardy outsole that provides slip, oil, and heat resistance. It also features Ladder Lock outsole radius technology to offer sure-footedness. In order to protect you from wetness, these men's wheat tan boots are designed with a waterproof upper and interior for your benefit. It starts with a durable leather upper that is completely waterproof. It excels at wicking away wetness, but for added protection, the 6-inch Timberland PRO boots are made with a waterproof membrane. It locks out all wetness, leaving your feet dry, fresh, and comfy long into the wear. Along the lines of comfort, these men's slip-resistant boots are built with a number of supportive, soft, cushiony characteristics. The composite toe Helix boots feature anti-fatigue technology, which comes in the form of an anti-fatigue comfort footbed. This unique footbed provides your foot with support to prevent soreness and exhaustion - it reduces it. In addition to the footbed, the heat-resistant safety toe boots are designed with a fiberglass shank. It ensures structural support as well as shock absorption, which can also reduce some pain or foot fatigue. The mesh linings found in these leather men's boots allow air to reach your feet to keep them cool and sweat-free over time as they allow for breathability. Plus, the linings feature antimicrobial treatment for odor control. Finally, the oil-resistant work footwear offers soft coziness with a padded top collar. Listen to your feet and give them the comfort they deserve paired with the durability you need. Get these Timberland PRO Men's Wheat Helix TB0A1HPY 231 6 Inch CT Work Boots here at Working Person’s Store today. Timberland PRO Boots: Men's Wheat Helix TB0A1HPY 231 6 Inch CT Work Boots is being added to your cart.